Help Center - How do I add a maintenance reminder? How do I add a maintenance reminder? The Maintenance Reminders feature allows TenantCloud users to create recurring maintenance requests. 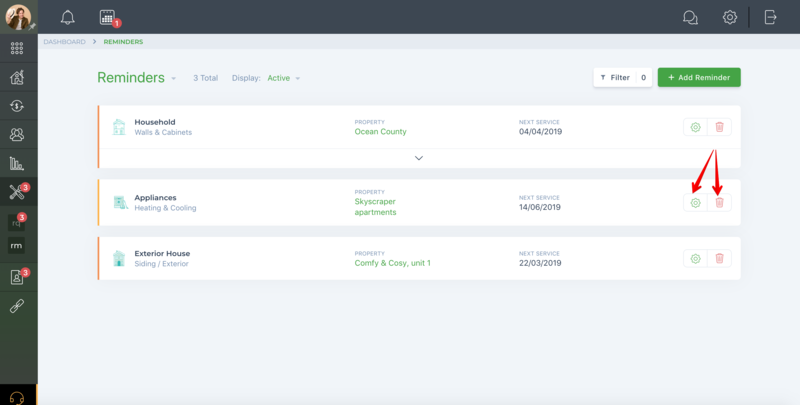 Select the desired property from the drop-down menu. Using the icons below, select category, sub-category, issue, or sub-issue. 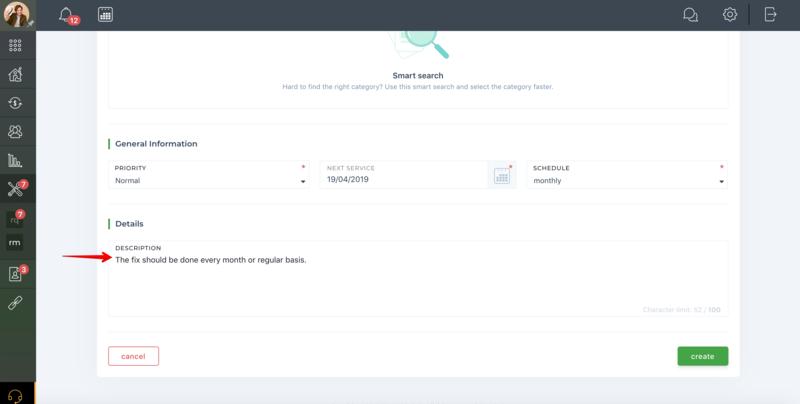 If you cannot find the desired category, sub-category, etc., try "Smart Search." 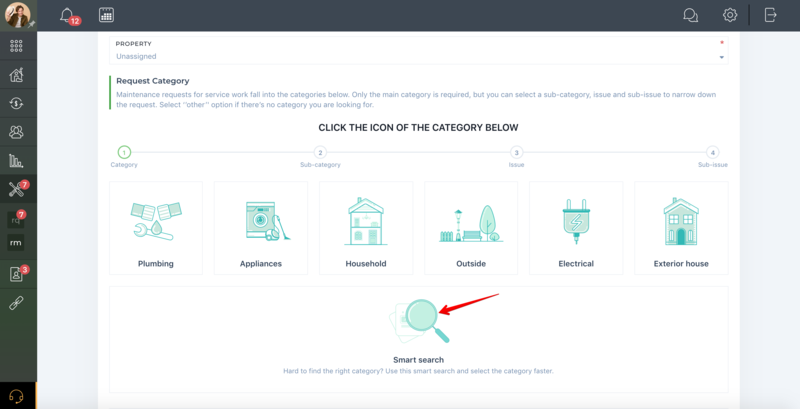 Click on the appropriate icon and start typing in the search field. The system will offer you available options. 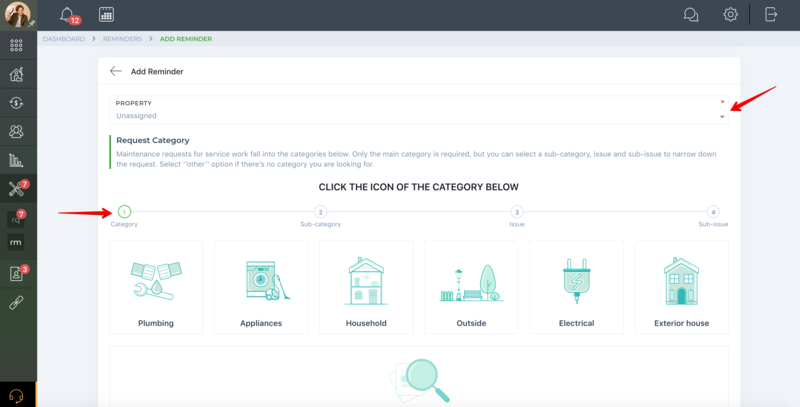 If your desired category doesn't exist, you can contact our support team to suggest a category. the Priority of the reminder: low, normal, high, critical. the Schedule: weekly, two weeks, monthly, quarterly, semiannually, annually. 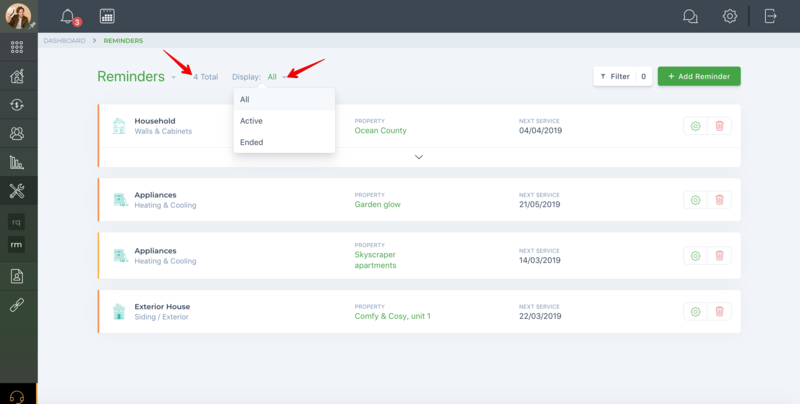 You can add a reminder description or any important information in the "Details" section. Press "Create" to save the reminder information. On the "Reminders" page you can view all your maintenance reminders as well as sort them by Active or Ended status. Use "Filters" to find maintenance reminders faster. You may "Edit" or "Delete" the reminder, if needed. For that, use the appropriate icons next to the reminder. 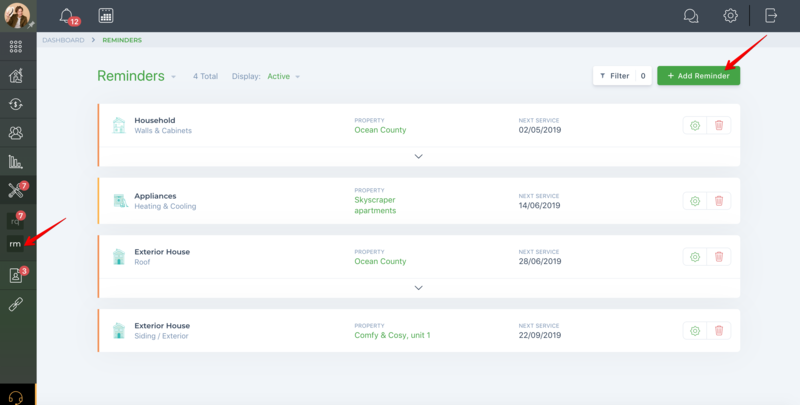 You can also create a service reminder while adding equipment to the property. Just activate the Service Reminder toggle. How do I set recurring maintenance requests to my equipment?